Tahj Imere Ford, aka T.S DA BEST, is one of New Jersey’s underground music gems! Consistently putting out music since 2005, his talent ranges from gritty to the real. From the streets to the suburbs, his music gives every fan something to relate to. His pride and passion for music is deep rooted from his early teenage years with some of his biggest influences including Notorious B.I.G. ; every tape released brings different beats, new flows and pushing the limits of what is currently trending. 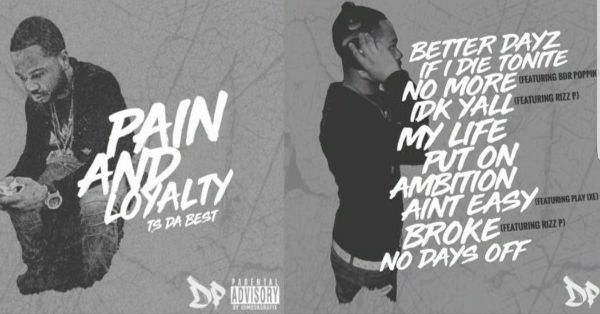 His new tape Pain and Loyalty is set to drop June 23rd, 2018 and promises to show an entirely new side to his talent. The title of the tape is just a hint of what fans can expect to hear.